Ms. Fernandez has been rather busy with Roy promotions around the country giving us a few different looks while at it. The Kavita Bhartia look instantly caught our attention, we loved it. Wish we had better pics of the Tarun Tahiliani one. Which of the three here was your favorite? TV anchor Archana Vijaya tied the knot with Delhi businessman Dheeraj Puri in Thailand over the past week with close friends and family in attendance. Catch some of her looks from the wedding inside. Namrata attended the Reddy reception wearing her favorite and no-point-for-guessing designer, Tarun Tahiliani. 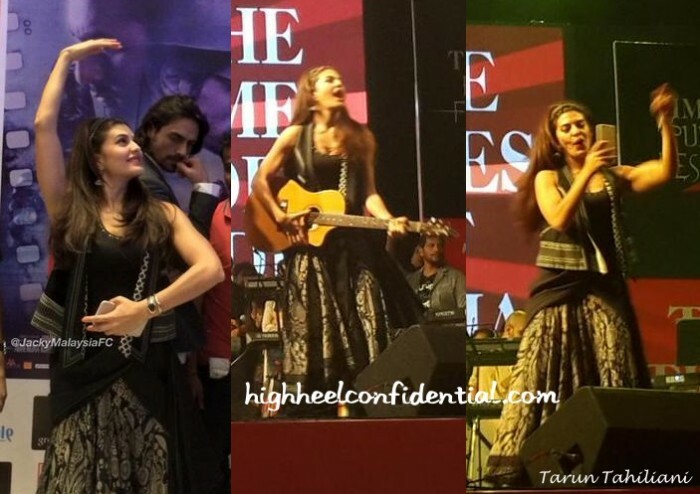 You’ll remember seeing Tabu wearing the same anarkali just a few months ago. If you’ve followed Namrata on here long enough, you know her TT looks are pretty much the same and almost always finished out with thong flats. It was no different here. What was though, was the addition of a red lip and what a difference it made. It made the look pop so much more. Lisa attended the Lion Gold Awards wearing a Tarun Tahiliani look that consisted of a velvet top, draped skirt and an embroidered corset-style belt. Ms. always-in-black Haydon did wear the separates look well but I did feel underwhelmed. Bring on some color, we say! You can shop Tarun Tahiliani here. 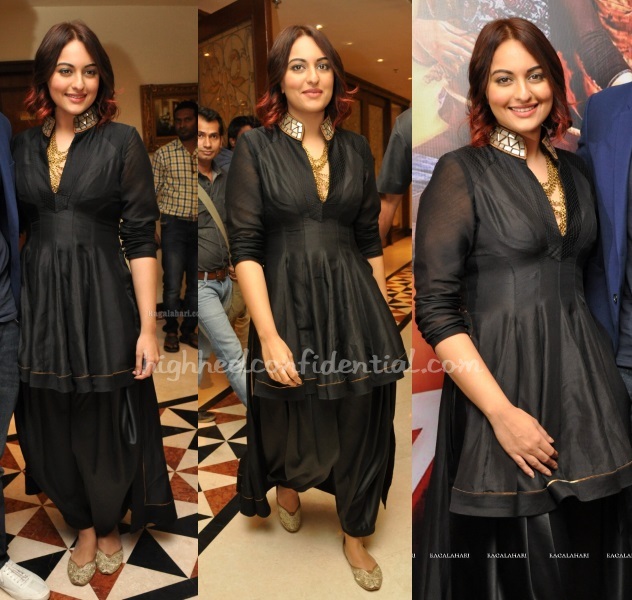 The Hyderabad leg of Tevar promotions saw Ms. Sinha in a black Tarun Tahiliani look, one that she wore with a Prerto layered necklace and silver jootis.